In 2014, former 20/20 anchor Elizabeth Vargas went public in a series of interviews, sharing her struggles with alcoholism and anxiety. Now she is opening up about the life-changing events that followed her decision to be transparent with her battle. After the release of her memoir on addiction and anxiety in 2016, Between Breaths: A Memoir of Panic and Addiction, Vargas interviewed with The Fix. Telling People magazine that putting her story out in the world was “one of the hardest and most rewarding things I’ve done,” Vargas—now the host of a new A&E series Cults and Extreme Belief—reflected on the changes in her life since the publication of her memoir. Vargas was so inspired by the positive public response to her story that she now travels the country, speaking out about alcoholism and anxiety. Her hope is to minimize the stigma surrounding those issues, in direct contrast with her feelings during the worst years. “I felt very alone when I was in the grip of the disease,” she said to People. Elizabeth Vargas suffered with anxiety from the time she was very small, which worsened as she entered her early forties and after the birth of her son. 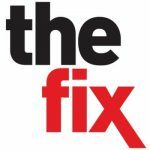 In her interview with The Fix, Vargas noted that in research with Diane Sawyer for a 20/20 special, they learned that 63% of women with alcoholism also battle anxiety, and women who struggle with anxiety are at two times the risk of relapse. Vargas told AARP that her anxiety got so bad that she had experienced an anxiety attack on live television. Unable to pinpoint exactly what the turning point was from alcoholism to sobriety, Vargas now credits meditation, gratitude and her experiences in rehab and therapy, along with the active involvement of her parents and sibling, for her enduring sobriety.